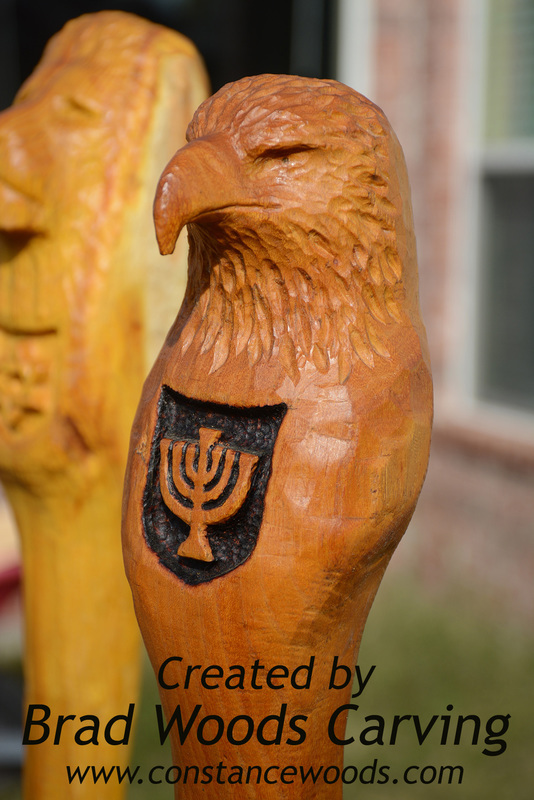 ​Featuring Hand carved Lion of Judah and Eagle Staffs. And the New Crown Scepter. 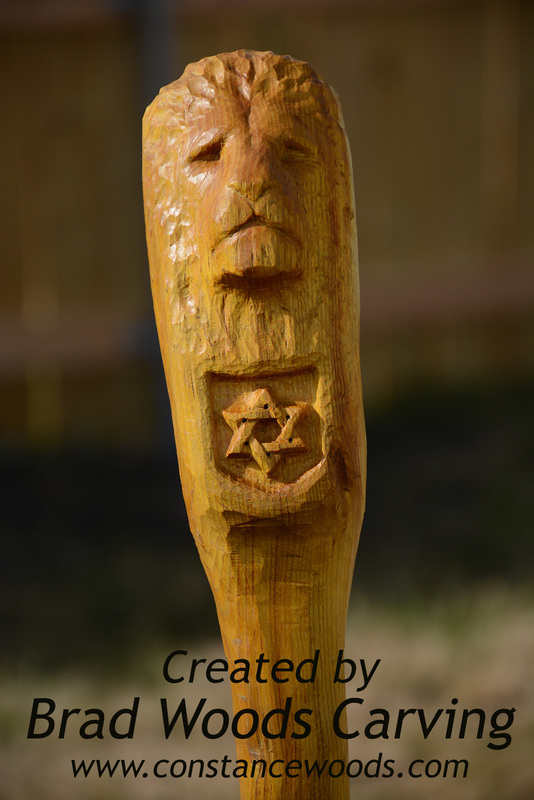 ​Made from Osage Orange wood by my son, Brad Woods. Available for pickup in the Dallas area, or call for shipping information. Brad Woods is the son of artist Constance Woods. Brad harvests the Osage Orange wood locally. He hand carves each staff. 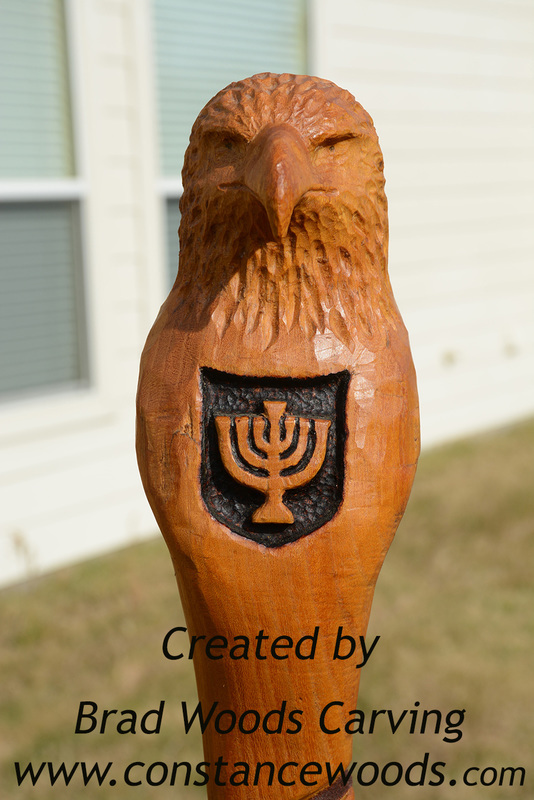 He customizes each piece using various Hebrew and Biblical symbols. Prices for staffs range from $200.00 and up. The staffs are around 6 ft. tall. They can be shortened. 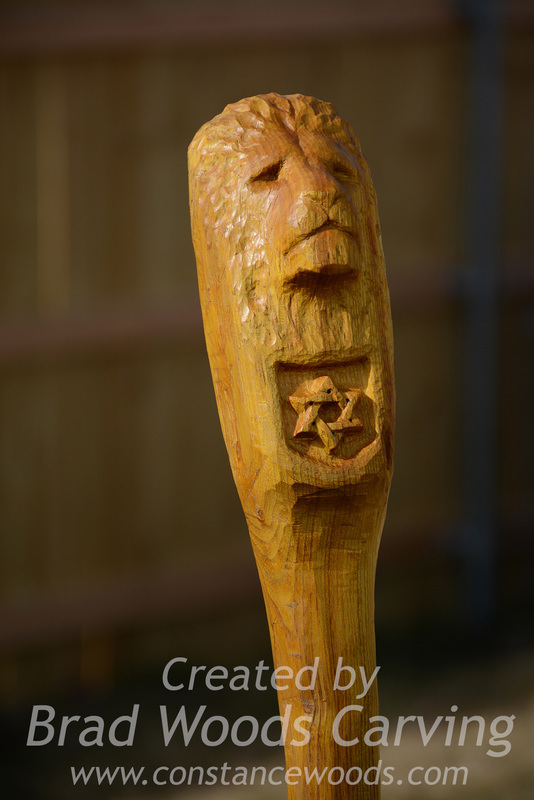 This is a custom made scepter with the Star of David in the top. Brad uses a lathe to shape the wood. Other scepters will be added soon. 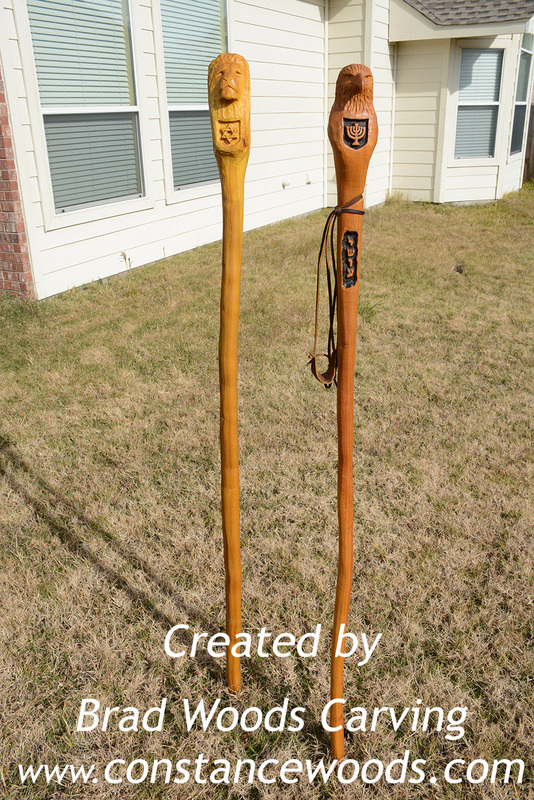 ​Fill in the contact form on the left,or email Brad Woods to inquire about his hand carved staffs and other hand carved tools in his Brad Woods Carving collection.